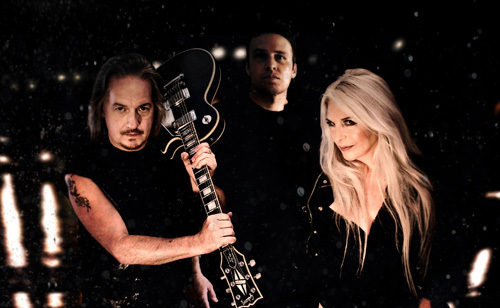 Hailing from Houston, Wildestarr is the husband and wife team of bassist and guitarist Dave Starr and vocalist and multi-instrumentalist London Wilde. They're joined by Josh Foster behind the drum kit. Beyond The Rain is their third album, once more with the Scarlet Record label. I'm going to cut to the chase right from the start. I didn't like Beyond The Rain all that much. The album is basically an example of, if you've heard the first song, then you've heard the whole album. 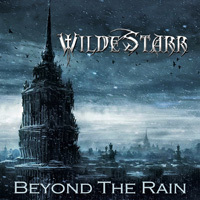 The WildeStarr sound across this album is essentially consists of three things. First is Starr's sharp acerbic riffs. The second is Wilde's shrill and screeching vocals. (Comparisons have been made of her vocal style to Halford and Tate, but I'm not getting it.) Finally, there's a heavy and thumping bottom end in the rhythm section. A possible fourth element could be Starr's guitar solos, but they are slight and so often muted to be of any consequence. Actually, you might miss them the first time through the album. Yet, because the album was so repetitive and the music so caustic to my ears, I really had no desire to listen to it twice. Mostly, I skipped through the album during the first spin. The strange thing about this report is that I remember 2012's A Tell Tale Heart to be a pretty decent album. Maybe the third time isn't a charm for WildeStarr. Listen and decide for yourself. Because Beyond The Rain was so repetitive and the music so caustic to my ears, I skipped through the album during the first spin, and then had no desire to listen to it again.